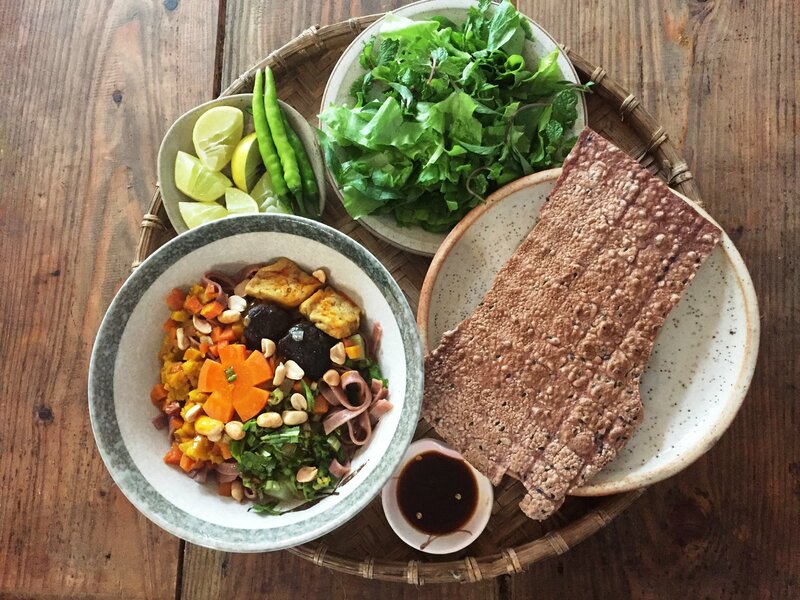 Whether you are a vegetarian or not, the yummy dishes and peaceful spaces at some of these Da Nang vegetarian restaurants will delight you! 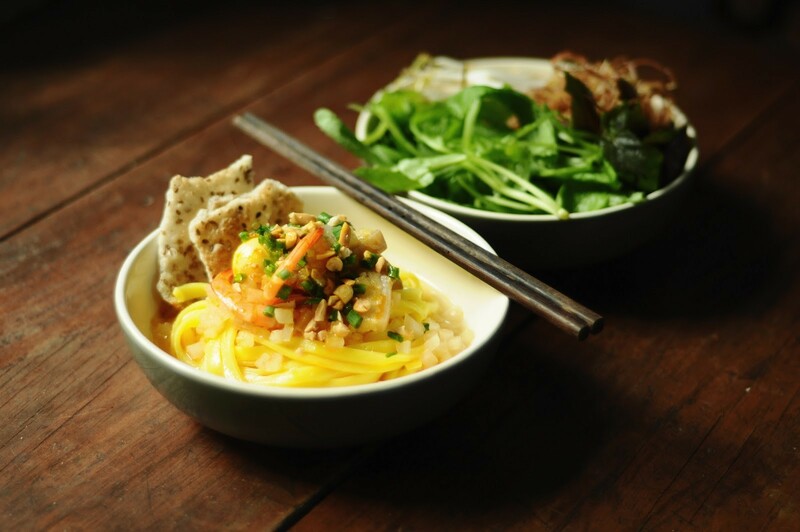 Charming ambiances, rustic interior designs, and considerate staff, Da Nang’s vegetarian options will surely add a beautiful flavor to your travel! Fried tofu with boiled vegetables are now… hard to find in a vegetarian restaurant. Instead, you have plenty of beautifully decorated and delicately cooked dishes to choose from! 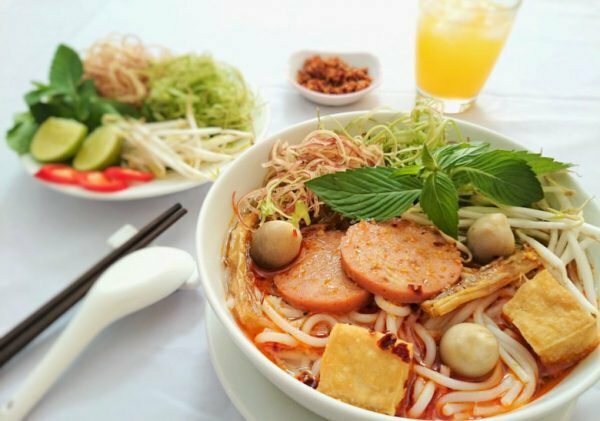 In this article, we are going to learn about some dishes you can’t miss when going vegan in Da Nang, and which restaurants must be on your must-visit list. Let’s discover! Mi quang has been among the top favorite Vietnamese dishes of Da Nang for so long, and the veggie version is just as good! The thick light noodle is eaten with elegantly sweet soup cooked and flavored with vegetables, accompanied by a plate of fresh herbs. This will surely prepare you for an energetic day as you gobble it down for breakfast! Hue noodle is another beautiful option that can be made vegetarian! 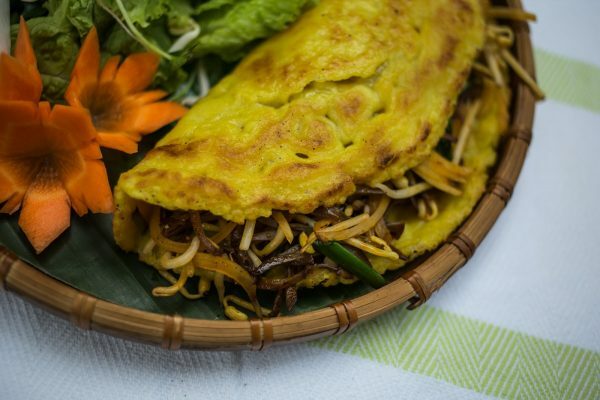 You can find a vegan bun Hue in any big city of Vietnam, yet the most ideal areas to try this dish should be Hue or its neighboring cities. 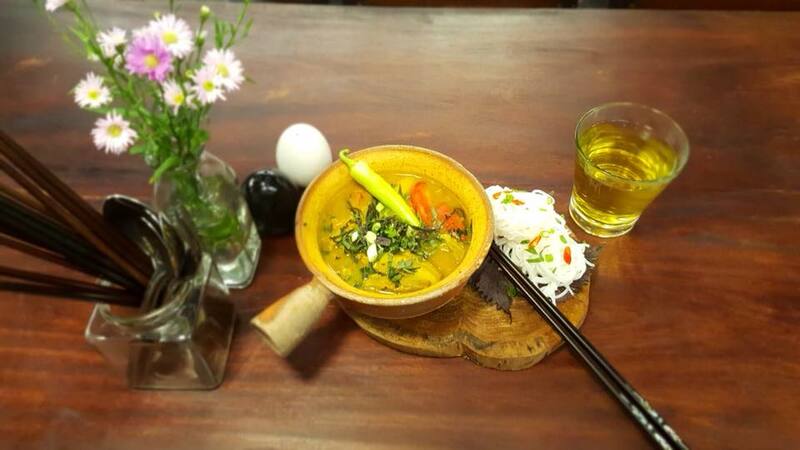 If you’re in Da Nang and do not have a plan to visit Hue, don’t miss this lovely food. Don’t freak out if you see beef in your bowl! It’s actually made from tofu! 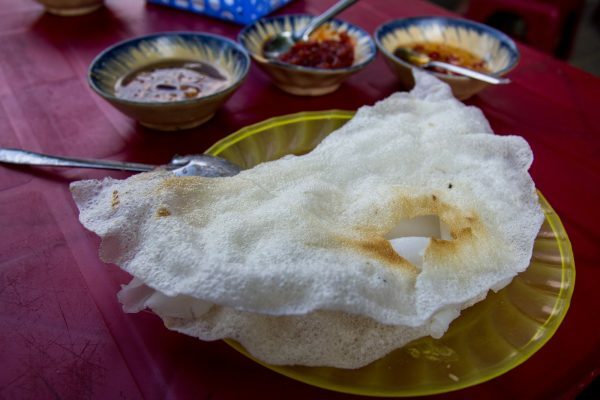 Being a specialty dish of the central coastal areas of Vietnam, this crunchy Vietnamese fried pancake should not to be missed if you are looking for one of the most genuine tastes of Da Nang City. Normally, the cake is filled with shrimp, meat, or beef. And yet, with the veggie version, the green beans, mushrooms, and bean sprouts will delight you and make your stomach happy! When eating this cuisine, don’t forget to wrap it within a slice of fresh salad leaf. This cake is covered with a sticky rice layer and, for the vegan version, stuffed with green bean filling. It is also a typical dessert of the central coastal land and surely worth your time! 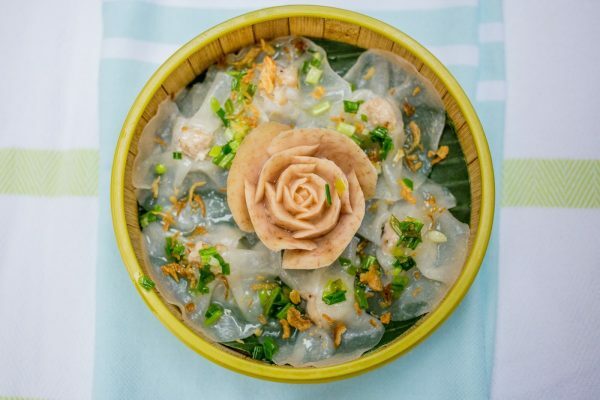 Although it originated in the neighboring province of Quang Ngai, Banh Dap served in Da Nang is also an interesting choice. This dish is like a waffle, with a steamy rice cake sandwiched by two pieces of fried rice cake, dipped in a special sauce. The crunchiness of the fried cake, together with its soft filling, and the tasty sauce is remarkable! Apart from what I have recommended, don’t hesitate to ask for more suggestions from your restaurants. 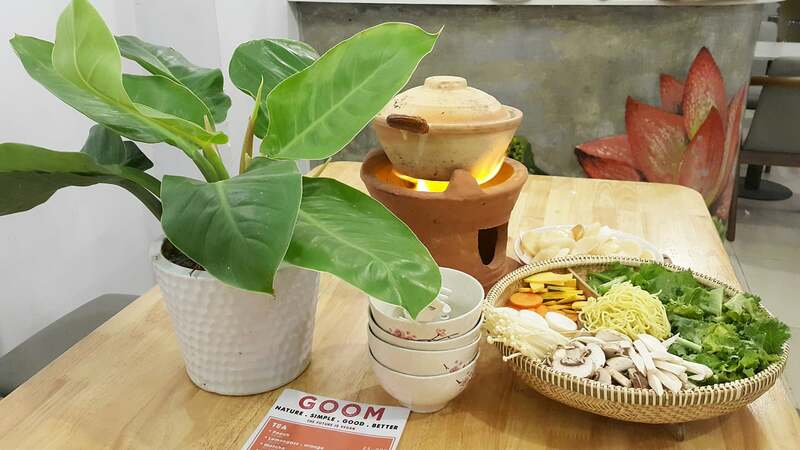 I’m quite sure, after trying the tasty veggie dishes in this lovely city, what will be left is more than the food flavor, but the great sense of hospitality of the Da Nang people. Below are some suggestions for amazing restaurants that serve veggie dishes to give yourself a culinary boost! This place feels like a home away from home! Delicate dishes with fair prices fill up the artistic menu, and a positive overall energy permeates the whole restaurant. It is also here that you can order a fancy glass of Kombucha to give your stomach a boost! Try all of their amazing flavors and you won’t be disappointed. What more can you love about Goom? Their eco-friendly items! They provide paper straws and paper cups, so that plastic wastes are reduced. Don’t hesitate to follow their Facebook page, and your news-feed will be fed with creative and helpful facebook posts! 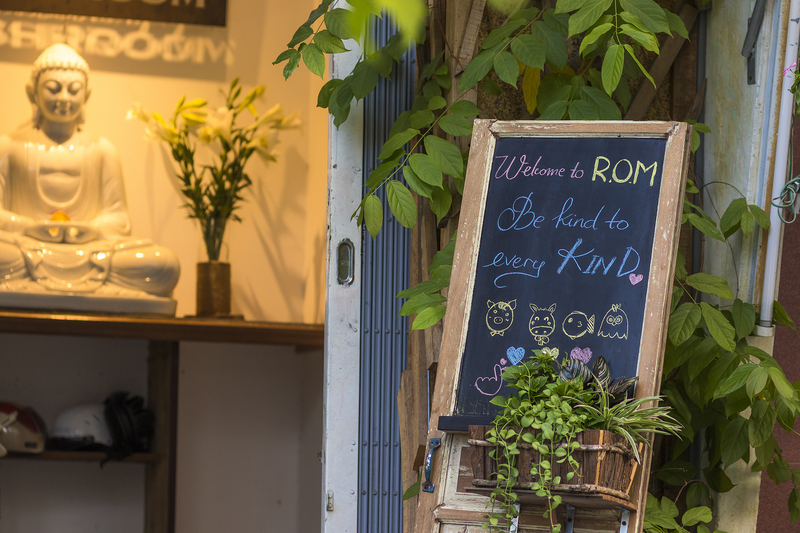 ROM’s ambiance is so cozy and Vietnamese that I couldn’t help but fall in love with it at first sight. Food, in addition, is fresh and yummy, with mushrooms present in most of the dishes. A great plus is the amazingly friendly and hospitable staff, who always welcome guests with radiant beams and considerate actions. The alluring Kombucha is also available here, give it a try! I am sure that eating macrobiotic is not an easy task in today’s world. Bao An was born to make this hard task a lot easier! Great food, no need to mention. Organic suppliers, sure. Delicate ambiance, certainly. But it doesn’t stop here. You can also order organic, clean raw materials for your home-made meals. You will feel the care of its owners and staff and also improve your health with organic food! The air we inhale contains lots of toxins and the food we take in daily is often raised with chemicals, spending half a day in this peaceful restaurant and enjoying purely natural food will delight you and heal you. An’s welcomes you with a rustic yet authentic interior design. Decorated with paintings of green leaves, the space brings you a genuinely fresh and calm feeling. Their friendly and energetic staff contributes to the happy atmosphere it creates. You will feel at ease with their tasty food, pick a salad I suggest. If you are looking for an open space, head upstairs to the lovely full-of-plants balcony and enjoy the natural wind of Da Nang. Upon entering this restaurant, you will feel at ease in the peaceful rhythm of meditative music. The interior is humbly decorated with green sets of tables and lotus paintings. 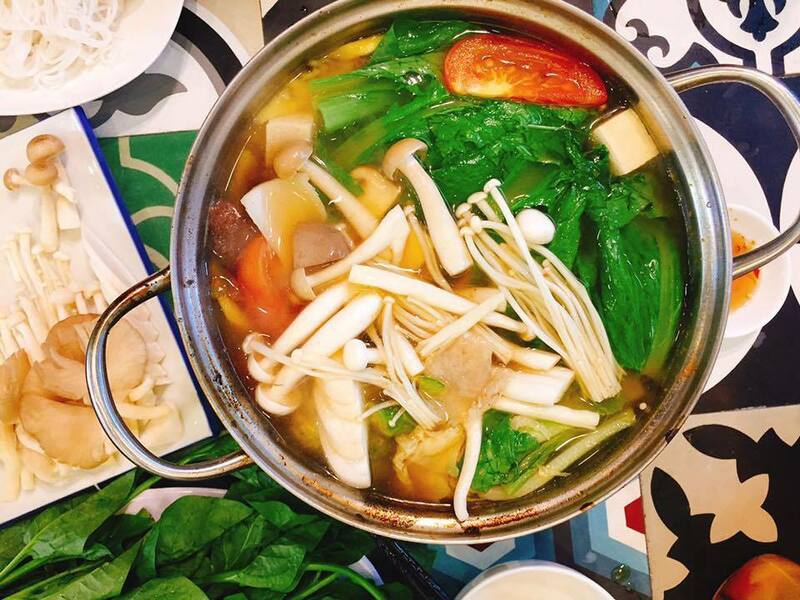 With over 200 dishes on the menu, Huong Khach could be a good choice to enrich your vegan experience in the city. 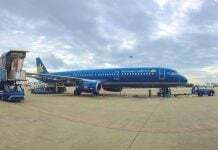 Address: 11 Tran Tong Street, Da Nang City. 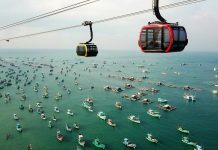 Da Nang is a wonderful city, the fresh air and ocean encourage healthy eating, so what better way than to try one of the restaurants listed above. I’m sure that you will find it so easy and satisfying to try several vegetarian dishes in this coastal hustle! 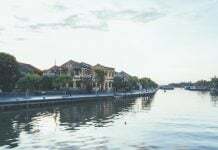 We have more articles for you: check out our guide to the best cafes in Da Nang or our itinerary of awesome outdoor activities you can do there. If you are still unsure of which interesting places to visit around the area, this comprehensive travel guide will answer it all.